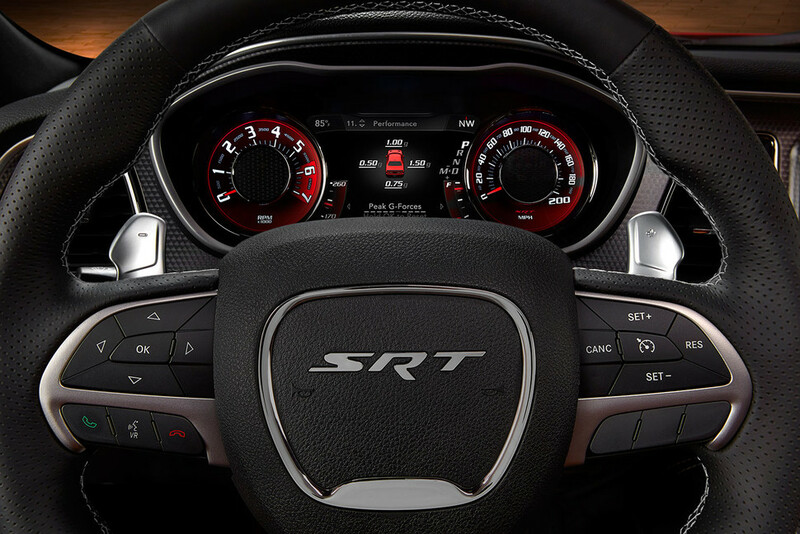 The 2016 Dodge Challenger Hellcat throws down the gauntlet with a staggering 707hp supercharged 6.2L Hemi modern muscle car. Yes this is a heavy car at 4500 pound curb weight. However, it makes up for it's weight by putting down an honest 650 ft/lbs of torque which equates for NHRA approved 10.8 second quarter mile times on sticky tires. You can choose a 6 speed manual or 8 speed automatic but in the end it doesn't matter when you jab the throttle this car is going to move quickly regardless of whether you are rowing gears or not. Dodge seems to have a real winner in this car as the 2015 model quickly sold out the 4000 cars produced. The only noticeable change this year is the welcome addition of the Plum Crazy Purple paint code. 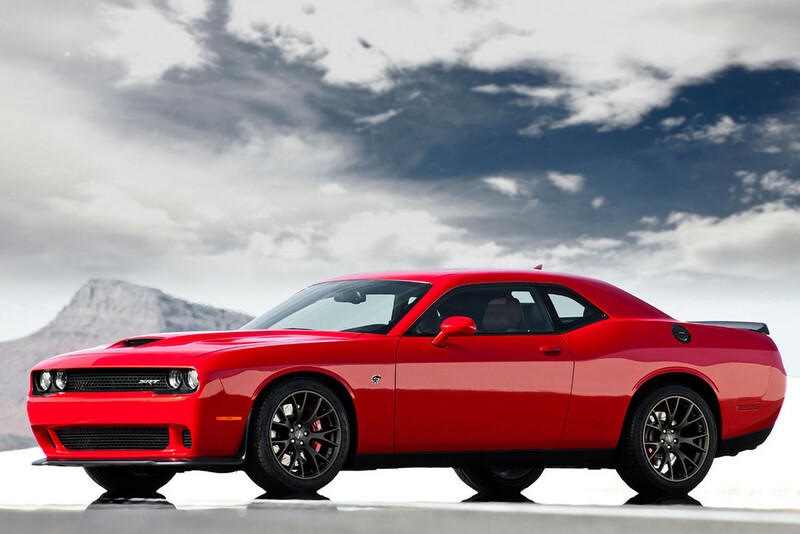 Expect a lot more Hellcat's on the road in 2016. This all adds up to be great news for muscle car enthusiasts. Base (SE, SXT): 305hp V6, 8 speed auto or 6 speed manual. R/T: 5.7L Hemi, 375hp, 8 speed auto or 6 speed manual, 20 by 8 inch rims. 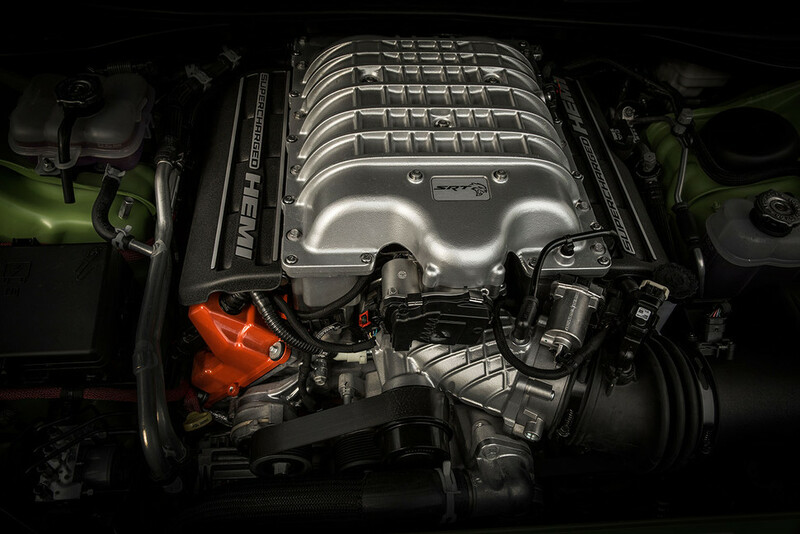 392: 6.2L 470 hp Hemi, 8 speed auto or 6 speed manual, leather interior, shaker hood scoop. Hellcat: 707 hp supercharged 6.2L Hemi, 20 by 9 wheels, custom hood scoop.